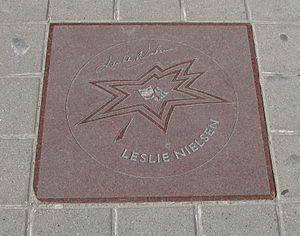 With all the sadness over the death of Leslie Nielsen is a bright spot. The 100 movie actor is starring in his real life movie today, credits go to the thousands of people writing a eulogy and sharing across the net. Learning more and more about his accomplishments, wonderful real life disposition, and his friends family and admirers. A finer tribute would be hard to find. Thank you Leslie for all the joy you have given the world.